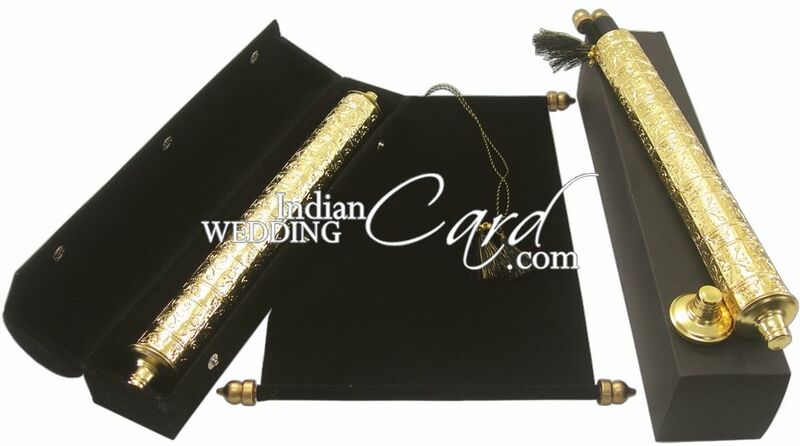 S527, Black Color, Scroll Invitations, Jewish Invitations, Fabric Scrolls. 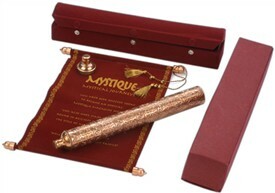 Truly royal and majestic to the core! 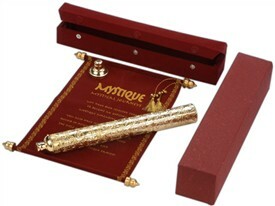 This Scroll card is the epitome of classic design. 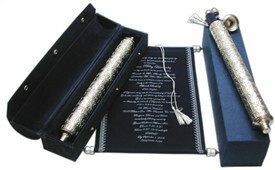 The scroll has silver bars with matching tassel to tie. 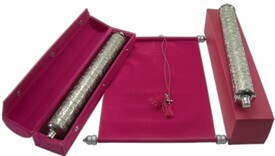 This Scroll card is encased in a very attractive german silver case with traditional engraving work done on it. 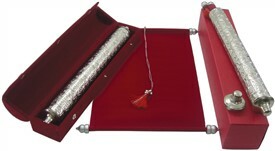 The case is than contained in a dome shaped velvet cylindrical box, which reminds one of the jewelry case. 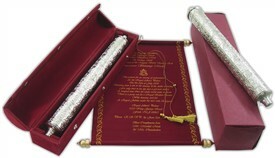 A royal Invite! 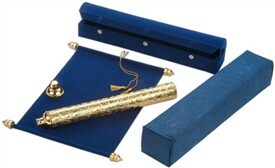 Black velvet for scroll & dome shaped cylindrical box; German silver (metal) case and matching paper mailing box.